FULTON, NY – Barbara A. (Davis) Pyzdrowski, a resident and native of Fulton, was born December 19, 1923, to the late Sanford and Elizabeth (Johnston) Davis. 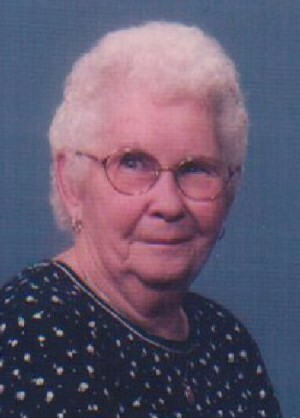 She died on Thursday December 13, 2012. She lived in the area most of her life but enjoyed the winters in south Florida since retirement. 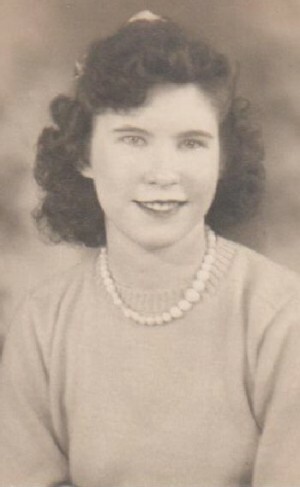 She previously worked in Fulton department stores and Nestles during World War II. Mrs. Pyzdrowski devoted her entire life to her family as a homemaker and enjoyed crocheting; she was as accomplished seamstress and especially enjoyed giving freely to the needs of others. As a devout Christian she actively worshipped the true God Jehovah as one of his witnesses since childhood. Though asleep in death, she now awaits her resurrection to a paradise earth under God’s Kingdom. Mrs. Pyzdrowski was predeceased by her brother, Robert J. Davis; and son-in-law, Calvin O’Brien. Mrs. Pyzdrowski is survived by her husband of 69 years, Alffred Pyzdrowski; and their children, Stephen Pyzdrowski of Florida and Peggy O’Brien of Volney; grandsons, Curtis and Cordell O’Brien; her sister-in-law, Agnes Davis; and triplet great-grandsons. Calling hours will be Saturday from 1 – 3 p.m. at the Sugar Funeral Home, 224 W. Second. St. S., Fulton, prior to the memorial services, which will be Saturday at 3 p.m. conducted by Elder David Ryan representing the Fulton Kingdom Hall of Jehovah’s Witnesses. I remember your mother from many years ago when were were in fifth and sixth grade at Phillips Street School. She looked much like the earlier photo you published – very pretty. And she was very kind and generous. I looked forward to seeing her after school. You have my deepest sympathy, God rest her soul.